We finished day 3 in Veirzon which, I don’t mind pointing out, is a bloody long way from London! 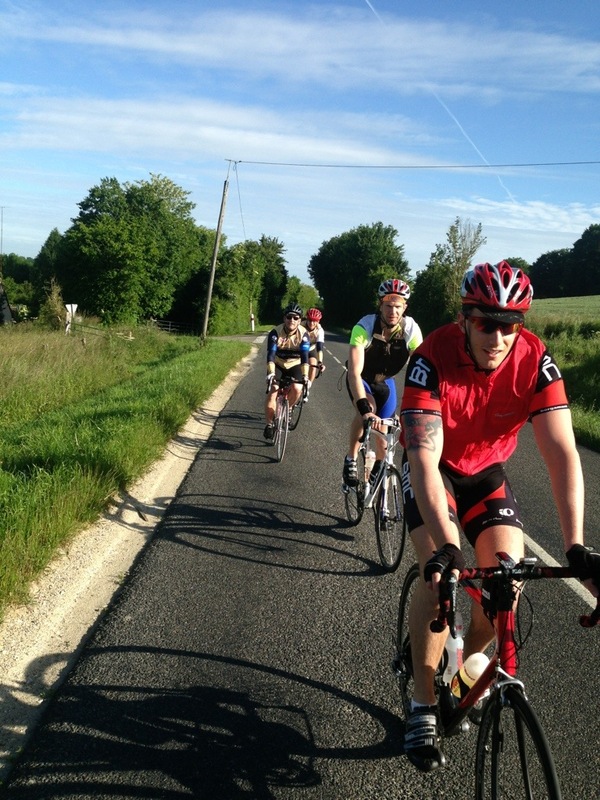 Another gruelling day in the saddle saw us notch up 108 miles through breathtaking countryside. The days are split into 4 with a morning break, lunch and an afternoon break. The fantastic crew race around in the two vans (and motorbike) to ensure each stop is ready to receive the weary riders with hot drinks, cakes and sandwiches. They are amazing and leave the riders with nothing to worry about but getting from A to B. The challenge is tough but I guess that’s the point. As a group we are raising money for the Wooden Spoon Children’s Charity and as riders we want to earn your sponsorship. Well I can assure you that to a man everyone is giving there all so I encourage you to support the riders with a donation. Every penny counts. The alarm calls are set for a 7am breakfast and a 7:45 departure. All that awaits is a mere 90 miles which will take us down to Moulins.